Nowadays the average person complains at least three times a day (a made up statistic which is likely to be true.) Yes, the internet is slow, yeah the electricity cut off for an hour last night, get over it! 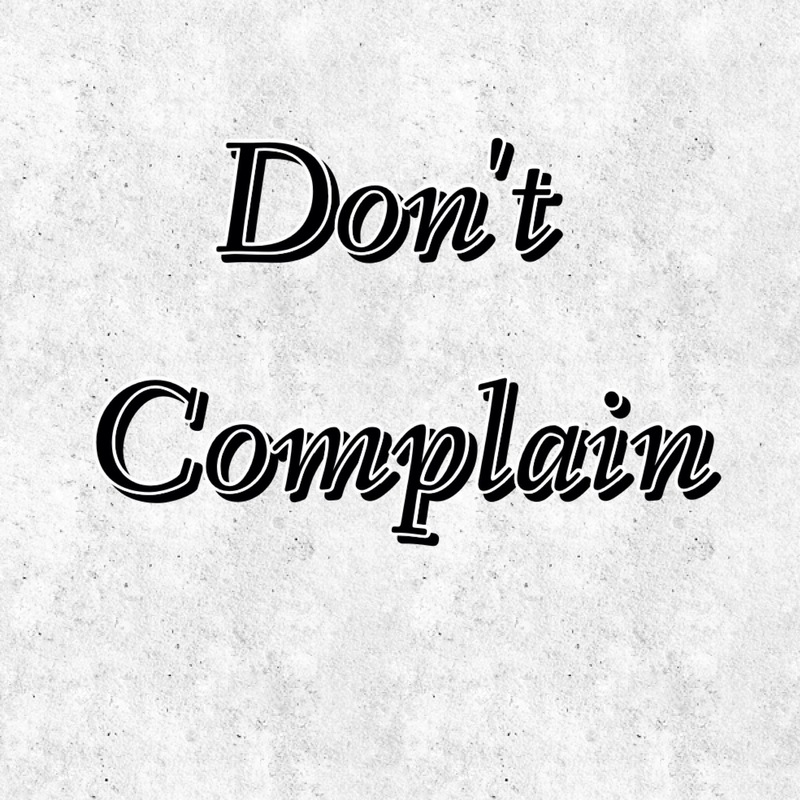 I’m not underestimating your problems, we all have problems, but here is why I think that complaining is one of the most character-destructing habits there is. which means that you’re privileged enough to have access to the internet and have the ability to read. You have arms to hold your device, and eyes to read this text and a school that taught you how to read. I don’t mean to be a negative nancy, but so many people can’t read, can’t learn and more people than you know have never been able to access the internet or information. It’s so unfortunate how much we take for granted! Everything you have is a gift. to buy the phone, tablet, or computer that you’re reading this article through right now. No matter if you own a Nokia 106 or an iPhone 6 Plus, you were able to afford an electronic device. Be Grateful! No matter if you are 15 or 70 right now, you’ve made it through your life so far. No lightning or thunder, no diseases or accidents put out the shining star that you are yet, be grateful for that. If you have any family members, or friends, or any kind of person who supports you, and helps you through this journey, thank God or whatever you believe in for the blessing of family that was taken away from many people, instead of complaining about it. Remember that time someone spontaneously smiled at you? Or that other time your mom surprised you with your favorite dinner? Or any time you felt that you had friends who care? Or the gifts that you got on your birthday? It’s very common to disregard all those little things and just focus on a few bad things in your life. Don’t take all the little things for granted! It doesn’t last long. Don’t complain all day about that one bad thing when you have so much good in your life even if you don’t recognise it all yet. The reason I am so passionate about this topic is that I see people everyday complaining, depressed and so convinced that their life is terrible when if they look from a more positive perspective, they have so much privileges that they don’t see. I’m not saying that I never complain, but I try not to, because I believe that we could all be much happier and more pleasant people if we would just stop the nagging negative complaining. Currently in her junior year of high school, Noran is an avid participator of school activities. She aspires to work in graphic design, and she also hopes to study television and film. She runs multiple blogs, is a photographer by accident, and has a bad case of wanderlust.